STRAIGHT TALK, NOT SALES TALK! Work. School. Family. Friends, Volunteer activities. Your lives are busy. Your time is valuable. So when it’s time to buy or sell a home, it’s smart to turn to a professional who can get the job done. There are 2 types of house payments. Yours and the one you make for someone else. If you are ready to buy a home, whether it is your first or fifth, we’ll help you find one that meets your needs and compliments your lifestyle. We can assist you in finding a lender, negotiating with the seller, and completing the transaction. If you’re selling a home, we will help you achieve your goals in the shortest amount of time – with the least inconvenience possible. Call Velda at (325) 725-9854 for your appointment today! I can refer to you to a qualified REALTOR anywhere you are planning to move outside our area! The Real Estate Store LLC specializes in Abilene Real Estate, which includes the Abilene Independent School District, and the surrounding areas: Anson, Clyde, Merkel, Tuscola, Hawley, Buffalo Gap, rural Taylor County, rural Jones County, rural Callahan County, Wylie School District, areas near Dyess AFB, other Texas Tiny Towns near Abilene. 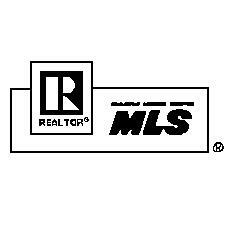 We are members of the Abilene Multiple Listing Service (NTREIS). Homes and properties in our area include condominiums, townhomes, farms, ranches, horse farms, vacant lots, commercial property for sale or lease, residential single family homes, manufactured homes, multi-family homes, and more. We can handle buyer consultations, mortgage loan referrals to lenders, Market Analysis (CMA) for sellers and assistance to the For Sale By Owner , HUD Homes, VA Repos, bank repos, investment properties and relocations. Many foreclosure properties (REO, REPO, short sales, fixer-uppers) are available and we can help you find them. HUD Homes can be found on this page. The Real Estate Store LLC welcomes builders and buyers interested in new construction in the Abilene area. Don't forget, we are members of the Abilene Association of REALTORS, Texas Association of REALTORS, and the National Association of REALTORS. REALTORS adhere to a strict Code of Ethics . Former HUD Listing Broker in Taylor, Callahan, and Jones Counties + a few other nearby locations. Services for lenders and asset managers include BPOs, marketing/selling, Cash for Keys, etc for REO properties in Abilene, Anson, Clyde, Merkel, Tuscola, Hawley, Buffalo Gap, rural Taylor County, rural Jones County, rural CallahanCounty, other Texas Tiny Towns near Abilene on a selective basis. The real estate industry in Texas is regulated by the Texas Real Estate Commission. Privacy Statement: All information provided is kept confidential with those parties involved in the real estate transaction and is neither shared, rented, nor sold to other parties. Your business is important to us. This means that we will not under any circumstances sell, rent, or give your information to anyone who is not involved in your transaction. Please be assured that we will not call you unless we have information to give you that is important to you. In accordance with Do Not Call and Anti-Spam standards, by submitting your information, you are giving us permission to communicate with you on specific details by email or telephone as applicable. Disclaimer: Reference to specific Government or Military web sites or services by any web site referenced by The Real Estate Store LLC or its agents does not constitute or imply endorsement, recommendation, or favoring by us. We provide links from our web pages to external web sites because they provide information that may interest our customers. This is provided as a convenience only. External links do not constitute an endorsement by us of the opinions, products, or services presented on the external site, or of any sites linked to it. We are not responsible for errors, ommissions, prior sales, changes, or withdrawals without notice. We are not responsible for the legality or accuracy of information on externally linked sites. All information should be independently verified by the consumer. By clicking on any links withing this website you are agreeing to these terms.